I have a really special guest post today. This one comes to you by “apraxia mom,” Tori and her son, Jake. It makes you wonder–or perhaps confirms–that there is more at work here than just a little boy with apraxia. 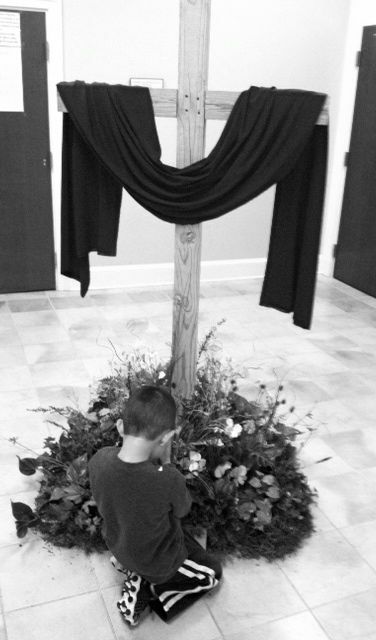 I’ll let you determine who the real star is… be sure to see the video of little Jake reciting the Lord’s Prayer. It will melt your heart. Take it away, Tori! “My son Jake was diagnosed with apraxia of speech at age three and has been in speech therapy since he was 27 months old. At the time, Jake could not memorize multiple words in songs or nursery rhymes. He would try, but the order of the words would always get jumbled up. I told the teacher that I would work with Jake every day in order to learn the color songs and that *maybe* by the end of each month, he would be able to sing it. After all, I’d been dealing with apraxia for about three years at that point. I knew he could get it, but it would take a lot of practice to get there. But, I didn’t even attempt to set goals or make promises to learn The Lord’s Prayer. 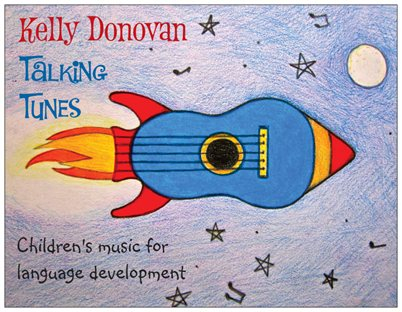 How would a child who couldn’t sing the simplest of songs ever be able to learn such a lengthy and difficult piece? A few weeks into school, Jake surprised me by coming home singing the first color song. He had learned it all on his own, just like the other kids! Wow! But I still didn’t commit to learning the prayer; I thought it was impossible. One night about two months, later Jake shocked me again by saying this very special prayer in its entirety before he went to sleep. My boy has said this prayer many times over the past few months and each time it brings tears to my eyes and makes my heart beam with happiness and appreciation. Last month, Jake started playing t-ball and my husband is the coach of the team. Because we are a church league, we pray at the end of each game. After the game, my husband called me out onto the field and surprised me by asking Jake to pray in front of both teams and the audience. Jake’s confident voice filling the silence at the busy ballpark was one of the most remarkable moments of my life. It stirred emotion from deep within my soul and each word was golden. We fought for each and every one of those syllables that was so eloquently spoken that day. Who would have thought that a child who could not speak until a few months after his fourth birthday would now, a little over a year later, be saying those beautiful words? This prayer signifies our full circle with apraxia – healing, love, joy, faith, tears, and determination. 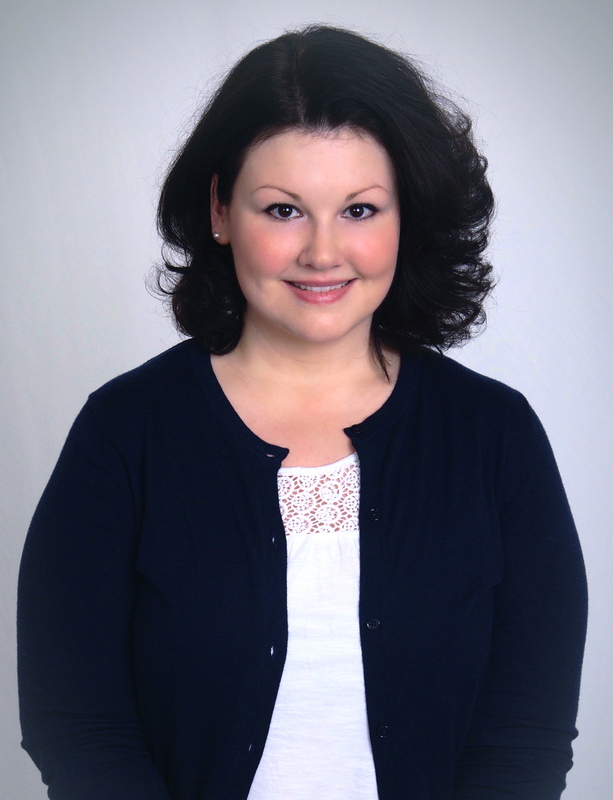 Tori is a writer, wife, and stay-at-home mom to three sons (ages 15, 10, and 5). 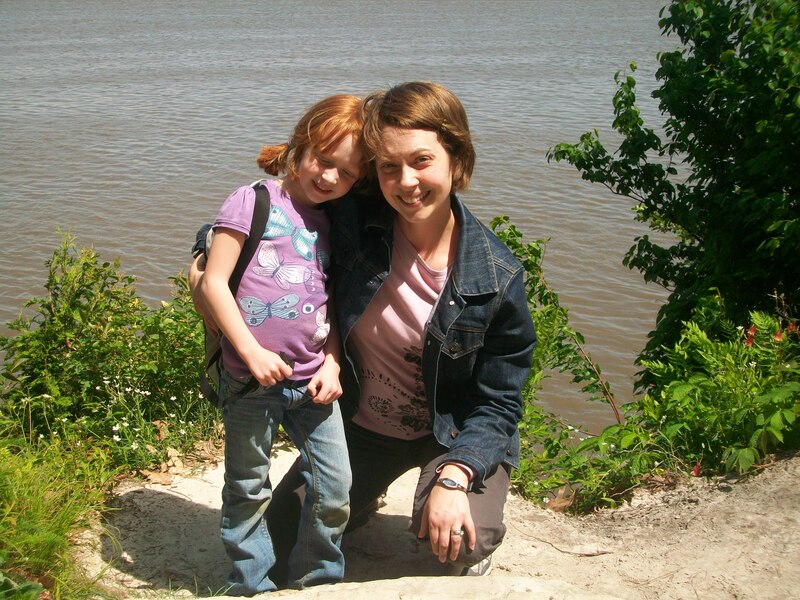 She documents her five-year-old son’s journey with apraxia, etc. at http://www.jakes-journey-apraxia.com. Call for Submissions! If you have a video, photo, or guest piece to contribute to http://www.speaking of apraxia.com, please send me an email at leslie_lindsay@hotmail.com. I’d love to hear from you. Your words, experiences, and insights can help others walking the same path. Here’s hoping it’s spring–like in your neck of the woods! Here in Chicagoland we just got a dusting of snow as the temps plummeted from 77 on Saturday to 38 Monday. 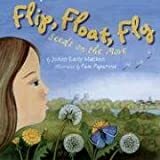 But not to fear, because we’re bringing a little burst of spring to you in this whimisical little book, FLIP, FLOAT, FLY by JoAnn Early Macken. What a darling, poetic read which truly brings seeds to life for young kids–and caregivers! The text is crisp, rhymically enthralling, and a joy to read. Words like scamper, scurry, and scatter fill the pages as one sees how a tiny seed travels from point A to B and utimately becomes a flower. FLIP, FLOAT, FLY can be used as teaching tool with kids of all ages, even the youngest kiddos with apraxia can benefit. It may be too soon in your area for the puffs of dandelions, but if by chance, you have them, by all means head outside with your little one, pluck a dandelion and blow the cottony mass. Can your child say, “puff?” Can’t find a dandelion? Have you got a cotton swab and straw at home? Lie the cotton ball on a table and have your child blow into the straw, pushing the cotton ball/dandelion head around. Puff! Head to the store and allow your child to select several packets of seeds. Talk about the flowers they will grow into. Open the packets up once you’re home. Look at how different the seeds are from the plant they become. Compare and contrast seeds of different varieties. You may choose to plant the seeds, or perhaps you can make a collage or artwork out of them. If you plant your seeds, you may consider starting them indoors in small Dixie cups. This will allow tiny seedlings to get stronger before they are in the earth. Maybe you’d like to invest in a small windowsill greenhouse. Watch, water, and see what happens. 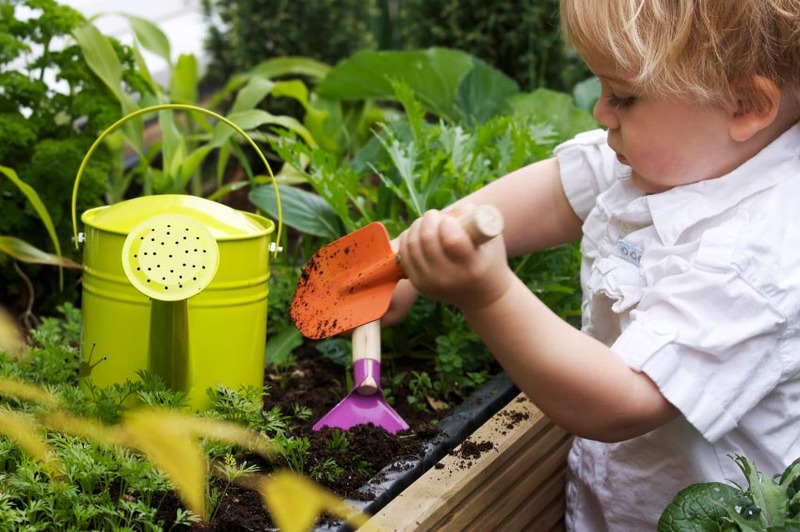 Have your child draw a picture of the steps involved, keep a garden journal of growth. Planting outdoors is always fun! 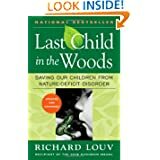 Make sure the threat of frost is gone in your area (for Chicagoland, they often say Mother’s Day is the best time), or shoot for Earth Day (April 22). 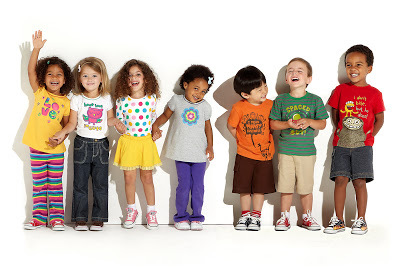 Talk about the steps involved, introduce your child to new vocabularly, textures, and colors. Have him repeat them as best as he can. Write your own FLIP, FLOAT, FLY. Create a small book by folding and stapling a few of paper together to create pages. You may choose to add your actual seed packets, draw your own, cut pictures of flowers/gardens, etc. from magazines and catalogs. Ask your child to say a few words about the picture(s) and then write the words down with her. Or, if she’s able, let her do it. Just recently, I was at a school musicial watching as some 120 third-grade students sang, skitted, and shouted words and phrases about needing a vacation. Well, gosh after this winter–don’t we all?!? The kids were pretty darn cute as they donned sunglasses, Bermuda shorts, straw hats, and flip-flops. A giant surf board (or two!) flanked the sides of the risers that some mom spent a lot of time decaling to be just so. My heart ached for her. I wanted to help, but I wasn’t sure what I could do. Not only that, but the woman looked familiar–like I knew her, or had met her before. The child continued rollicking and fighting her grasp. My 7 year old asked what was wrong with that boy. I had an inkling. Finally–and I say this rather emabarrassingly–I asked if she was M.R.’s [child’s initials] grandmother. “Why yes, I am!” Her grimace turned to a smile. I returned the expression but inside I grimaced. Really? Me, a former child psych R.N. a little out of practice, but still definitely able to recognize an over-stimulated autistic child, did nothing but ask this woman’s name–and poorly at that. Yet, she smiled. And appeared to relax. We chatted about “our” kids. The two in the 3rd grade musical attended earlier grades together, they were both “poor” readers. Mine had CAS, hers typically developing (as far as I know). Yet, the child with autism squirmed and bucked against her hold. “Is there anything we can do to help you?” I offered. “Can we give yo a break? And then it dawned on me–not everyone gets a vacation. Yes, I am using “vacation” in a metaphorical sense. 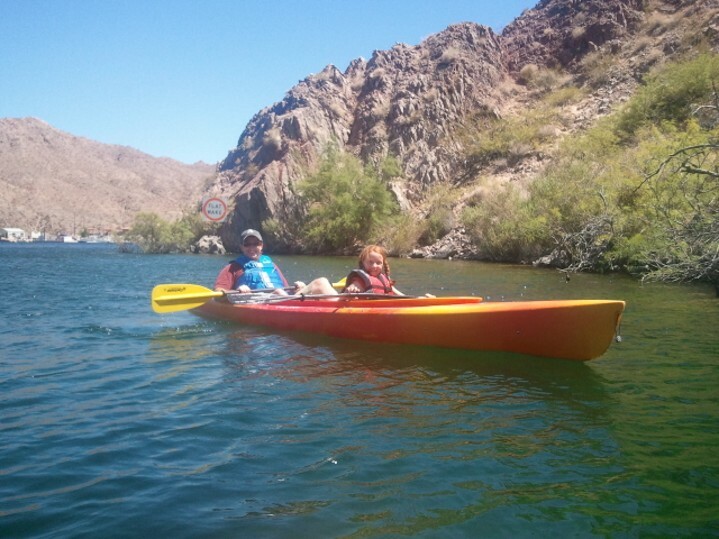 We don’t all get to get away from it all–not when it’s apraxia or autism, or asthma. It’s there always. It’s there at the school musical, at the grocery store, in traffic. It’s at your place or worship and in the library. And if you look closely, you’ll find it in your neighborhood, maybe even next-door. When you are that child with autism, apraxia, anxiety, asthma, anorexia…well, you never get a vacation from your disorder or syndrome. It’s there. Always. Sometimes it gets better. Somtimes it may be almost non-existant, but it’s there, lurking in the dark shadows of life, peeking out from beneath the flaps, wondering if it will rear its ugly face. Until someone steps in and smiles. Also, for information on how grandparents can help with special needs, particularly apraxia, please refer to chapters 12-15 in SPEAKING OF APRAXIA, Woodbine House 2012, an award-finalist resource on childhoood apraxia of speech (CAS). The temperature gauge is slowly creeping up, and little ones who have been cooped up all winter are clamboring to get outside. What you may not realize is the wealth of speech-langage rich activities you can participate in for free or low-cost, you just need a little imagination. Let your kiddos set the pace. My hubby used to be guilty of *not* doing this. He was a trained hiker who could easily cover 20 miles a day through rugged territory. Along came two little redheads and that pace was cut down by a lot. So your 4-year grumbles about a long walk, then start small. Play “I Spy” as you stroll around the block. This builds observation skills, receptive language, and starts working on expressive language, too. Be prepared. Scrapes and insect bites happen. So does sun. Pack a little first-aid kit including Band-aids, first-aid cream, water, sunblock, maybe even bug spray. You may even solicit your child’s help in packing a kit, “Can you get mommy/daddy the water bottles?” (ah yes, there’s that receptive language again!). Respect Nature. We always talk about “leave nothing behind, take nothing but memories.” That’s hard for little ones (big ones, too). Remind your children not to pick flowers or leaves from plants and trees. Keep your voices low when exploring nature, not everyone appreciates loud children on a quiet hike. Perhaps you can talk about the consequences of leaving litter, picking flowers/berries/leaves. And remember, never eat anything along the trail unless you packed it. Collect Rocks. My oldest (who has CAS), adores rocks. You can find them just about anywhere, but ponds and rivers, beaches, are really great because these stones tend to be smooth. Whether smooth, jagged, striped, or plain, sparkly, or dull they provide lots to talk about. “What did you find?” “Tell me about your favorite rock?” “Why do you like this one better than that one?” Try to use open-ended questions for your little ones with CAS. You may not get a full answer–or anyone at all–but that doesn’t really matter. What does, is that your are engaging with your child and looking to get his input. Also, try categorizing those rocks based on color, shape, etc. Keep a Nature Journal. We love doing this! You can choose to do this in several different ways–or a combination! Take photos with a digital camera, print out pages in Word or use photo paper if you’d like. Then assemble in a book for (with?) your child. You can slip them into a low-cost photo book or make your own out of construction paper. Identify the item you took a photo of with a big caption. FLOWER, for example or ROCK. CREEK. TREE. This helps with sight words, sounding out things, early reading etc. My kiddos really enjoyed photos of themselves at the park, in the tree, on top of the rock. This works on prepostions, etc. You may even think about collecting sticks, leaves, rocks, small items you can paste in your book. But be sure you’re not taking living things or those that belong to someone else. SPEAKING OF APRAXIA: A Parent’s Guide to Chilldhood Apraxia of Speech by Leslie Lindsay also includes several chapters on things you can do with your child to enhance speech-langauge work at home. Apraxia Moms, Dads & Grads–We Want Your Stories! Spring festivities are fast approaching! We’re talking about Mother’s Day (May 11th), Apraxia Awareness Day (May 14, 2014), Graduations, and other celebrations. Got a really cute photo to share? By all means, send it on! I’d love to see your child’s victory dance when he gets a word or phrase “right,” her last day of speech therapy, his participation in Reader’s Theatre or the school play. How about her graduation from speech-based preschool? Or, maybe you’re an SLP graduating with a special interest in CAS? Perhaps you have a great shot of your child with his SLP? Maybe it’s just you and your child doing something ordinary? Okay, got a photo in mind? 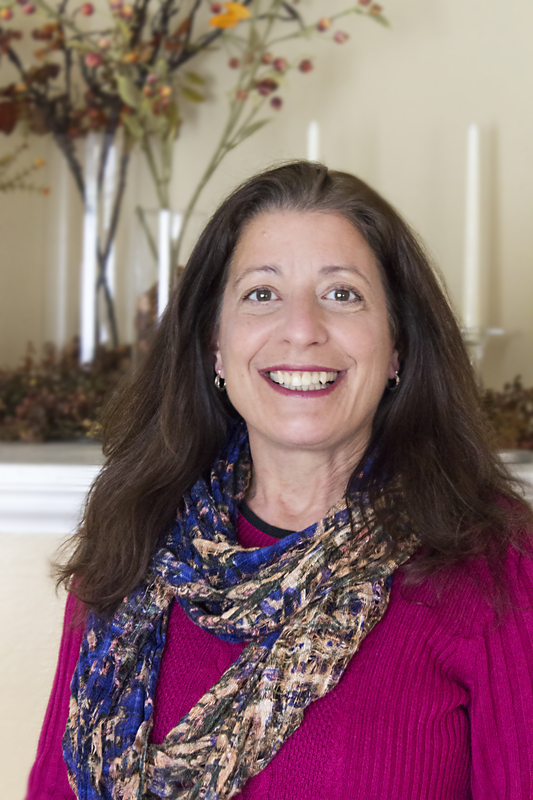 I’ll share your mini-story on “Apraxia Mondays,” right here on this blog. It’s a fun way to share your experience with apraxia, highlight your family’s celebrations, and increase awareness for childhood apraxia of speech (CAS). It’ a win-win for everyone. Got questions? Need more information? Feel free to shoot me an email at leslie_lindsay@hotmail.com. Be sure to include “apraxia” in your subject line so I don’t accidently delete it. Oops! I can’t wait to share your apraxia moments with our readers!! I read a lot. Grown-up fiction? You bet. The backs of cereal boxes? Guilty. Just about anything with written text in a language I understand? Totally. But my absolute favorite part of the day is wrapping my arms around my girls and reading a children’s book. And I got to thinking, there are a lot of books about books. Sounds like a lovely combination, doesn’t it? 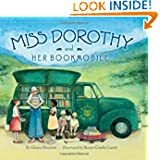 Miss Dorothy and her Boookmobile, by Gloria Houston. When Dorothy was a little girl, she loved books and so she went to college to become a librarian. She married, left the big city and lived in a rural area with little access to books. What did she do? Why she made her own bookmobile and eventually a small library. This sweet book shows the tenacity of one women’s desire to bring books to all and to share her love for the written word. 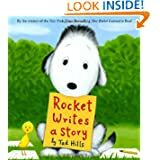 Rocket Learns to Read (2010) and Rocket Writes a Story (2012) by Tad Hillis are a complete package. First, Rocket must learn to read, which he does with the help of a sweet little bird. And then in book two, Rocket is so inspired he decides to write a book of his own. An adorable tale of learning, perseverance, and self-actualization. A winning combination! 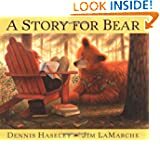 A Story for Bear by Dennis Heasley. Oh my! This one is so sweet, thoughtful, and beautifully illustrated, one feels as if she’s right smack in the middle of the book. I absolutely adore the sentiment behind the love for books, the attention to nature and the way the author-illustrator have clearly teamed up to create this lovely story. While this is a picture book, it’s long and perhaps is best-suited for older children. My 3rd grader still loves it, and will study the illustrations for hours. 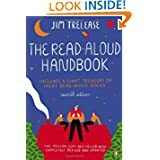 For more information and additional resources, please refer to the READ ALOUD HANDBOOK by Jim Trelease. It’s a gold-standard for parents and teachers alike who desire to share the written word with their children. In fact, research shows that continuing to read aloud to your children even after they can read on their own increases critical thinking skills, attention-span, vocabularly, and more. Select books that are just above your child’s natural reading level and make it a family tradition. 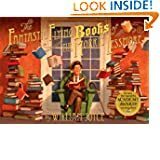 Just for grins and giggles, you may be intersted in taking this on-line quiz to determine which children’s book you are. I’m BAMBI. “Sweet and irresisitable and make people cry. A lot.” Not sure how true that is, but fun nonetheless!